HOW LOW CAN YOU GO TO KEEP YOUR ELECTED POSITION? I have been bombarded with email about Brian Simpson's Facebook page showing vulgar comments supposedly posted by Brian himself. Not only do I know Brian on a personal level, I also know him on a candidate level and quite frankly this poor attempt to discredit him just proves exactly what is wrong with some people when it comes to elections. Simpson is running for House District 46. Larry Clark's current seat. Someone from Clark's campaign, Clark himself, or a supporter apparently decided it would be cute to hijack Simpson's Facebook account info and post the following derogatory comments. Simpson has been at work all day at his day job at UPS. I spoke with him and he expressed outrage at this blatant attempt to disparage campaign and his character. He has not been available to even do this kind of stuff if he wanted to. Press Release from Brian Simpson concerning his Facebook account. As many of you know I am a current candidate for KY House District 46 challenging longtime incumbent Rep. Larry Clark. Today while at work I was notified of some serious comments being posted on my public facebook page. These comments were derogatory and sexual in nature and certainly were not put there by myself. I am outraged at the blatant attempt by either Larry Clark or one of his supporters to assassinate my Campaign and my character. I once was told that "when they attack you they know you are credible." Apparently the Clark campaign is worried. These type tactics are just one more reason why we need fresh faces and new leadership in our elected officials. The people deserve better than this type of campaigning. I am writing to let the people know that I have no knowledge of who did this at this time nor would I ever sink to such a low level in campaigning. Rest assured I am doing everything I can to determine who illegally broke into my account. It is an insult to not only current supporters but anyone who dares rise up to accept the challenge of public service. More importantly it is a disservice to the voter who expect our leaders to be above this fray. The time for these types of personal attacks by opponents are over. It is time for fresh leadership. The Courier Journal did a story on Christmas Day entitled Candidates run again and again. It was a story about people who run for office over and over with little chance of winning. You can read it here: http://www.courier-journal.com/apps/pbcs.dll/article?AID=2009912260311. Stories like this from mainstream media show one good reason why some candidates continue to run. It is because the same problems still exist and are not addressed. To intentionally cast these candidates aside choosing to slant in favor of the status quo is un American in many eyes. The first person they mention is Gatewood Galbraith and predictably once again try to discredit his candidacy by using the one divisive word the mainstream media has used against him over the years. Gatewood has been an outspoken advocate for legalizing marijuana for 30 years. Today at least 19 other States are considering this. 30 years ago Gatewood set himself apart from the competition who prefer things the same old way. He often jokes that, "30 years ago people said I was ahead of my time so here we are 30 years later..."
The CJ, or any other media for that matter, have not allowed their audience to see Gatewood's entire platform including education, job creation, and just about everything under the sun that affects each and every Kentuckian opting instead to go on the attack against anyone who has fresh new open ideas. Want to hear some? Listen to Gatewood and his running mate Dea Riley on the MyViewMatters radio show at http://springston.blogspot.com/2009/07/myviewmatters-radio-show-with-gatewood.html. This show actually allows ALL candidates who want to be heard GET to be heard. Funnily enough they are the only ones who do this setting them apart from the rest. The Courier ask why these candidates continue to run? They run because the problems have not been resolved and in many cases gotten worse. They run because the same old tired pathetic way of thinking with our so called "leaders" have not produced anything substantial to address the problems we face. They run because it's necessary to look at all options available to us in seeking solutions to our problems rather than ignore those problems in hopes they will go away. Problems created by the same old tired leadership. Any wonder why they cannot fix them? Since the CJ has decided to open the door once again to the same old divisive garbage and interject it into this political season I will open the door to discussion of the single issue they use. The number one reason marijuana was criminalized was because the timber industry was forced to compete with hemp for business. View here for a history Why is Marijuana Illegal? - Drug WarRant. The military and our own Government was using hemp as a cheaper alternative for rope, ladders and so forth, so the lobbyists did what lobbyists do. They bought a few elected officials and stamped out a threat. The face changed but the game did not. It just moved from the timber industry to the drug industry. This is not a shock, nor is it anything new. The game is the same as it has always been. In the early to mid-1900's the timber industry spent hundreds of thousands of dollars, through lobbyists and the use of lies and misconceptions, to push for the criminalization of marijuana. Leading the way was media mogul William Randolph Hearst who stood to lose megabucks if hemp was allowed to continue to be grown since his money was in the timber industry. Hearst used the "power of the press" with a full campaign based on racism, deception, and lies to paint an ugly and untrue picture of marijuana. Who says the press does not have power over the people? As we speak, decades later, marijuana still remains a criminal and federal offense because of this fight led by the press. Never, in the years that have passed has there ever been a vote by the people. Never have states been allowed to regulate their own laws regarding this matter, nor have the citizens bothered to fight hard enough for State's rights. Almost every study created within the past 10 years has shown that marijuana is not only less addictive, but less harmful than alcohol, tobacco, and most pharmacy drugs yet they remain legal. How many people are hit by drunk drivers? I myself have been hit by a drunk driver and still support it being a legal product. I don't remember meeting a politician that didn't drink. Not that they do not exist. They exercise their RIGHT OF CHOICE to drink or not. The same right they are denying others to make in regards to marijuana. One Senator in California was quoted in a documentary, one of the many I have watched recently, "In Pot We Trust", "American Drug War"....etc., stating that not only would the state save over $1 Billion dollars per year in drug preventative measures it would also generate over $1 Billion dollars per year in new revenue. That's a $2 billion swing. It would also allow annual growth if legalized for medical and recreational use. Imagine if 19 other states did the same thing. Would we still keep talking about the economy as if there is no solution that doesn't include the usual way of thinking? Tobacco remains legal although they try to squeeze as hard as they can to take that freedom away from us. They not only openly admit that their products are addictive, harmful to the body with even the slightest over-usage, but in many cases the side effects are worse than the original symptoms. Which of course means you now have to get even more medication to combat the side effects and the cycle continues. All worse than marijuana, all FDA approved, and all of course legal. The drug industry is a thriving, multi-billion dollar corporation that spends millions of dollars on lobbying against marijuana whether their "facts" are true or not. They give millions of dollars to political candidates to practically buy elections. The drug companies feed on our emotions, our wanting to "feel good" at all times. They intentionally raise prices on medicine for their own greed. Look at the vast difference in prices for the same exact medication used around the world. Why are the prices drastically different from Country to Country? Because an addict will spend anything for their next fix and make no mistake we Americans are addicted. Drug manufacturers know this and depend on it. One day in a hospital costs thousands, 1 Tylenol that's no better than over the counter costs $50 and up. Prescriptions for pain medication cost $250 and up without insurance, and believe me there's lots of us without insurance. These same blood-sucking leeches then come to us when we find an alternative source of medication that is NOT government regulated and is NOT forced down our throats and tell us we can't have it? Good old Uncle Sam pitches in because he needs his fix? During prohibition the law against alcohol brought us serious crimes such as the Saint Valentine's Day Massacre committed by known illegal bootlegger Al Capone. Legalizing alcohol lessened crime drastically. Legalizing marijuana would have the same effect. People won't be killing each other for it, if they ever have, they could buy it in a store over the counter. Marijuana has been kept illegal by the rich corporate interests and self serving politicians to ensure that the poor will be reliant on those who would take advantage of us. We would save billions of dollars if we were to legalize marijuana and the prison system would be COMPLETELY unclogged. Maybe then we could get back to prosecuting real criminals and get them off the streets. More importantly the Drug Industry would have legitimate competition to help drive down health care costs something that is desperately needed. A very valid, yet very debatable point by those so called leaders who suffer from near-sightedness and old habits dying hard? 50% of our prison system is clogged with non-violent drug offenders. The proof is in statistical databases all over the nation that our politicians choose to ignore. OUR tax-dollars at work. Paying to feed, clothe and otherwise provide for those who would otherwise be able to provide for themselves, and who's only crimes were committed upon themselves. For a nation founded on freedom, and bought with the blood of our youth, our government spares no expense to play God and deny that freedom so many have sacrificed their lives for. It seems our Nations new motto is: "Big Brother knows best do what he tells you to." If we continue to fall for this we should be ashamed to call ourselves Americans. This single belief, coupled with the combination of citizens unwilling to risk anything and stand up for freedom, is what is destroying our Country. In the state of Kentucky alone we have 35 people on Death Row and none because of marijuana. Prisoners given the death penalty are housed separately from the rest of the prison system which means more tax-dollars spent. Separate housing, separate staff, etc. There are 35 people on death row in Kentucky, sent there over a period of time when there were more than 3000 murders in Kentucky, the death penalty is so small a part of the criminal justice system and so seldom used, one must ask: What is its purpose? Deterrence? How do you deter something with 4 executions in 56 years? Punishment? Is life without parole not punishment? If it's true that only the death penalty is punishment, then how do we justify only doing it 4 times in 53 years? We have only executed 4 people in Kentucky since 1956. Two of which dropped their appeals and asked to be executed. Mr. Vish raises some excellent questions. According to Mr. Vish ordinary people who serve on juries have simply stopped imposing it. Is this a deterrent to crime? It does not appear so. Why then should we continue to finance separate costly facilities? Imagine if 50% of the prison system was cleared in an instant. Think about the billions of dollars that would be saved that could be spent elsewhere like economic development, health care, and the list goes on. Of course that would lead to less money for the special interests who gain from this system. Think about all of those people awaiting court dates for years due to serious crimes, some of whom are innocent, because of our clogged prison system costing us even more money. What value has been added to society for wasting that money. All of this to hold on to power due to old traditions and out of date thinking. We live in trying times to say the least. Times when even the best jobs have no security, when our dollar doesn't stretch as far as it used to, times when pennies mean so much more than loose change to be discarded. More importantly, it is a time when every citizen big or small, black or white, rich or poor must get involved and make a critical decision in our Nations history. We must ask ourselves one question: How important is freedom? Is it a "god given right" or is it an idea spoken in whispers in backrooms and town halls. Is it a demand by the people or a forgotten practice that was lost somewhere between the fear of terrorism and the inability to recognize a problem and correct it. Do we live in the result of idle indifference? We have been faced with these type questions before in our history and Americans have always risen to the challenge. It seems we have short memories. Was it not illegal for women or African Americans to vote at one point? Was alcohol not prohibited at one point? We stood up then and made changes. What would have happened if people would have just laid down, "followed the law" and not stood up. We would be a Nation no better than those who we persecute in other countries today. We have become complacent in our own ideas about freedom. We allow our government in our name to fight in other Countries for their right to be free while denying or lessening those same freedoms here at home. Ever wonder why the world today has such a low opinion of Americans in general? We are still fed the same lies today that led to criminalization in the 1930's that if marijuana was legal crime would sky-rocket. Where is the evidence? There is no more evidence today then there was back in the 1930's. In other words zero evidence. The one common denominator in all of this? We have the same dinosaurs in our government today as we have always had. Dinosaurs who refused to believe that change was good. The same dinosaurs who didn't want women or African Americans voting, the same dinosaurs who felt prohibition would be good, are the same we have always had. Family names and connections who have made careers out of politics forever. They were proven wrong then and are being proven wrong again today. If you continue to think in the past then you live in the past. You cannot move forward with that way of thinking. You study and learn from the past to build a better future. You don't live in the past and expect a better result. Today's government tries and tries to control us yet there is still hope. Even in the darkest of days a glimmer of hope shines through from those who would rather die than sacrifice FREEDOM for GREED. Open defiance exist, and must be maintained. I am the embodiment of those who demand freedom, and all of those who would fight for it until their last breath, so that the next generation of Americans can breathe longer and deeper. As many of you know I posted a story on Steve Henry and Jim King December 22 and alluded to the possibility that FOX41 General Manager Bill Lamb may be censoring access to the Jim King news. 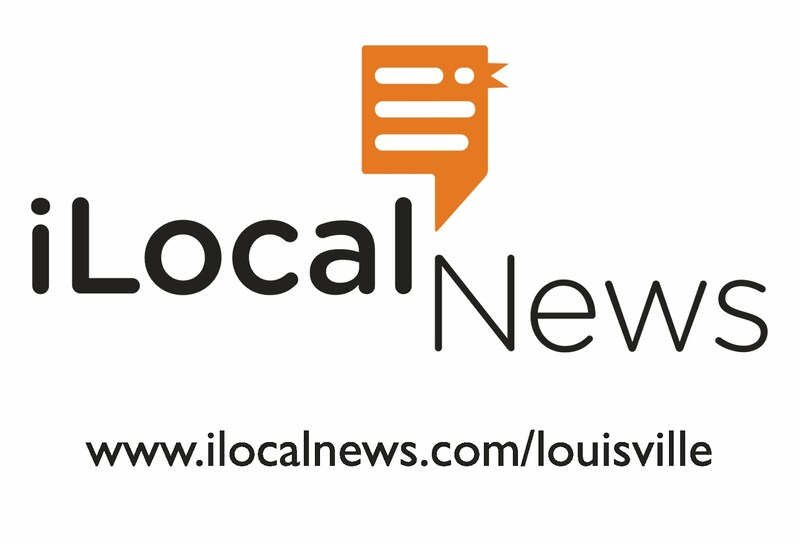 You can view it here: Louisville News and Politics: STEVE HENRY AND JIM KING: HAVE WE HAD ENOUGH YET? In my opinion it seems this may be coming to fruition. Why you may ask would I believe that? Every online TV news site puts the video of their top story on the website and always has. FOX41 has been no exception to this rule until now. FOX's Bill Alexander did a story on special prosecutor Hart Megibben's decision to ask for a Kentucky State Police investigation into the charges against Jim King. This is only done when there is clear evidence of criminal wrongdoing. If there were no evidence to support this it would not have been requested as it would be a complete waste of OUR tax money. Bill Alexander's story was reported as "First on FOX" the top story on their 10 PM newscast of December 21, 2009. The video story appeared on the FOX41 website, www.fox41.com, at approximately 11 pm the same night which is normal. You can view the poor quality edition I posted here: Louisville News and Politics: STEVE HENRY AND JIM KING: HAVE WE HAD ENOUGH YET? Why such poor quality? The next morning, December 22, the video was mysteriously removed from the website. Interestingly enough a 35 second clip of Karen Sypher walking into the courthouse was not. Can we say huh? This is an unusual occurrence and according to sources the order to remove it was sent from upper management. And the name thrown about as the one who made the order? While it is no secret that Lamb is friends with Jim King why would he allow that friendship to jeopardize his integrity and duty to the viewers to report the news and not hide it? If this was Lamb's decision does this mean that FOX41 will now censor anything that is news to manipulate the thoughts of their viewers? Integrity questions regarding Bill Lamb and FOX41 news itself now abound in my mind and dozens of others I have received mail from. I have no answers to that question only FOX41 General Manager Bill Lamb does. I reached out to Lamb to thank him for his fairness and accuracy in this POV. Not because I just happened to be the candidate at the time not getting any exposure but because it brought to light the problems of ANY candidate who didn't come from money or was outside the mainstream who deserved to be accounted for. I even did a POV segment myself. Since then I have been a fan of FOX41's POV and paid attention to Bill Lamb's segments. While I do not agree with all his stances admittedly in most cases he has shown integrity and presented a reason to discuss the issues. I decided yesterday to see if perhaps I was being biased, considering it is the King case and I have never claimed to be an unbiased reporter but part of the case itself, and went to post a comment on the FOX41 website about this as well. Of course it too was censored and not shown. It told me my comment was awaiting moderator approval and then disappeared while others who posted after me were online. Lamb cannot now say that they just had not updated the site yet. To censor the news based on a personal relationship with someone who happens to be the subject of the news is an insult to all viewers. While the naysayers will say I am only writing this because it involves King I disagree. The issue of censorship has been dealt with on this website in regards to other avenues as well. The issue of censorship goes beyond one person and to the heart of integrity itself. Once you choose to go down the path of censorship it denigrates everything we expect from a free press. The credibility of FOX41 itself is now tainted. If one story is censored because of personal bias then what happens to the next story be that will be censored. It takes FOX41 down a path that destroys credibility of the station and whoever made the decision themselves. Once credibility is gone the ad revenues that pay the bills to stay in business start falling too. Don't believe it? Check out the mainstream news own Courier Journal's plight. After being labeled a rag by many people, a name that has stuck because of obvious biased journalism over the years, they now have a bottom line in jeopardy forcing layoffs and lost revenues. When the only product you sell is your reputation and you denigrate that rep then the path to self destruction has begun. If indeed the message is that FOX41 now censors through the acts of management, whether Lamb or someone else, then that rep is damaged. Bloggers like myself began doing the hard work, and taking the hits associated with it, because mainstream has handcuffed the real reporting we used to expect. We do it because of situations like this that have damaged the reputation in mainstream news. We continue doing it for practically no pay because it is the right thing to do. We long for the days of a Walter Cronkite or an Edward Murrow who laid out the facts intelligently allowing we the people to dissect the information and react accordingly. Mainstream news directors, and/or General Managers, have become the problem and that is why the news we depend on daily has started becoming so irrelevant. The likelihood of having a news agency with the likes of a Walter Cronkite or Edward F. Murrow in today's age of self righteous, self promoting people like Rush Limbaugh and Glenn Beck are gone. Thanks to the apparent decision that FOX41's General Manager Bill Lamb, or one of his employees made, we can expect an even further decline in honest, "fair and balanced" reporting. By the way, I'm Ed Springston and that's MY point of view. You may recall a story I did over a year ago in July of 2008 about Jefferson County (Birmingham), Alabama and the comparison to our situation with MSD. You can read about it here: Louisville News and Politics: EPA Consent decree: Bankruptcy near for Jefferson County. Over a year ago I brought attention to the serious nature of what MSD was doing to us with the enormous debt overhead and the EPA consent decree they entered into. I say THEY entered into it because we were never asked either way. We are forced to pay the MSD bill and no one ever asked any of us if we wanted to enter into a consent decree that we are forced to finance now. The MSD debt in 2008 was approximately $2.8 Billion and expected to grow to over $4 Billion thanks to the EPA consent decree. With rate increases above 30% with literally no oversight whatsoever this became an immediate issue I got involved in since it seemed no one else was. While Bud Shardein was bragging about how this consent decree plan was really saving us money, and touting how great it was for us all, our sister City and near identical twin Jefferson County, Alabama was and is on the brink of having the largest municipal bankruptcy in U.S. history. Jefferson County (Birmingham), Alabama is essentially a near identical twin to Louisville in that they have the same approximate number of people and the same issues we in Louisville face in regards to MSD and sewage problems. MSD's own Bud Shardein has often cited Birmingham as one example of who we are following. And that is the problem. We continue to follow other's lead instead of being the leader ourselves in every aspect of Louisville decision makers. Think about all the messes we in Louisville have had to put up with. Quite frankly all of this leads directly to Abramson. Every appointee in literally every area of our lives he has put in place have turned up to be inept, incompetent, corrupt, I mean the list goes on and on. Based on the evidence from Shardein's own words, the track record of Abramson appointees from Housing Director Kimberly Bunton to Metro Animal Services Director Gilles Melloche, and everything in between, we have been led down a path to near non existence by a one man mafioso named Jerry Abramson. Should Bud Shardein stand alone in this fiasco? You be the judge. But remember not one finger in this town gets moved without Jerry pointing what direction it should move to. This story from Birmingham is a whopper. Runoff set in Birmingham, Alabama, mayor race Reuters. Charges against Langford relate to his tenure as president of Jefferson County's commission earlier this decade when the county ran up huge debts as it refinanced a plan to upgrade its sewer system. Many people have been calling for a complete accounting of MSD books and an audit by State Auditor Crit LuAllen. The seriousness of our own disaster looming can no longer be ignored in many eyes including mine. If Jefferson County Alabama is the example we are following, and Bud Shardein has even used them as an example publicly, does it stand to wonder why so many questions need to be asked and answered? Is this what they mean by Possibility City? Do we now advertise Louisville by saying there is a possibility that we are in serious danger of bankruptcy like our sister City Birmingham, Alabama? I don't think that is an ad campaign we can sell. Nor is this an area we can afford to ignore any longer without serious oversight. In the coming weeks I will be releasing more detailed info on MSD's accounting practices,expenditures, and who is pocketing the money. Could it be Abramson and cronies? TIS THE SEASON: MERRY CHRISTMAS ONE AND ALL! Today is a day of giving yet so many forget that giving does not have to be material and a true giver expects nothing in return. Today is the one day a year most find time to be the person we all wish we were. We find time to be courteous. We make time for family and friends we normally get too wrapped up in our day to day lives to do. We take that extra second to smile at strangers and wish them a Merry Christmas making their start to the day just a little more pleasant. We give gifts to our loved ones to let them know how much we appreciate them. The true spirit of giving requires no feeling of disappointment if you get no present in return. True givers presents comes not from receiving a reciprocal gift but from seeing and experiencing the joy in others because of yours. That is the gift that lasts. So many of us today get caught up in the commercialism of what Christmas has become that we forget that Christmas is a time of celebration. The celebration of the birth of Christ. Whether Christian or atheist, or anything in between it is the spirit of Christmas that endures. While many are non believers even they get involved in Christmas. Buying gifts for the kids, spending time with the loved ones, or generally being just a little nicer and kinder today to strangers. The spirit of Christmas makes this possible. I long for the day when we can all rejoice and live in the spirit of Christmas year round. I long for the day when we quit being so commercial and think that gifts are what make the season and remember that people make the season. I believe the birth of Christ was the greatest gift ever given to us. And it did not cost me a dime and the "Joneses" next door had nothing to do with that. We do not have to make sure that we compete with each other for material things. At the end of the day you can't take it with you when you go. So today in the spirit of Christmas I ask you all to remember how different you are on this day. I ask you to think about how much better you treat people, the way you affect others, and strive to make a change to work towards that goal. Commit to being a better person each and every day to your friends, neighbors, and strangers. It does not require a gift of money nor does it require a store bought one. It requires a commitment to the true spirit of giving. The giving of one's self to make this world a better place by being helpful, courteous, and grateful for this life we have been given. Reach out to those in need and lend a helping hand. That is the gift that keeps giving. Do it because it's the right thing to do not because you will gain from it like some do. You will not gain a monetary gift or a store bought one but a gift that is so much greater than that. My Christian belief tells me this is so. I believe in leading by example. God set the example for others to follow. He gave us the gift of His only son so that our sins may be forgiven. A gift of love and one given to us that did not cost a dime. Whether a believer or not is it so bad to follow the example of the gift of love? So in the spirit of Christmas I say to you all, be a giver of yourself first so that others may follow that example and lead us to what we all want. The greatest gift any of us have been given is the gift of life. In the trying times of today we forget this most basic gift. We worry more about what others have or argue over the haves and have nots. We spend more time over making sure we don't do without the latest material thing and forget to help those less fortunate than we who cannot help themselves. In the end which is the greatest gift? I appreciate each and every one of you who make this site a part of your day. i thank each and every one of you who allow myself and Ed Martin to be a part of your lives through the MyViewMatters Radio Show. I am thankful to my wife, my kids, family and friends, and so many countless others in my life who are there to help pick me back up when I fall down and have shown me that gift of love over and over through their actions not empty words or material gifts. Most of all I am thankful for this one day a year called Christmas. It serves as a reminder to myself and so many of us just how small we really are in this whole crazy thing called life. It also serves as a reminder of what and who we can be. To each and every one of you I wish you a Merry Christmas! May God Bless you all. STEVE HENRY AND JIM KING: HAVE WE HAD ENOUGH YET? What a Christmas present huh? We get to see just why campaign finance reform is so necessary by two of the most arrogant ego driven politicians in the game. After a couple of years of yawning by most of the media over the Steve Henry nightmare we finally have reached some sort of Justice (if one can call it that). Thanks in large part to the efforts of Jake Payne over at http://www.pageonekentucky.com/ the Steve Henry case did not die and fade away resulting in a misdemeanor Alford plea agreement by Henry that basically gives him a $500 fine. This is appallling to most of us to say the least but is just the beginning as the Federal case is still progressing. Again, thank Jake who has kept this alive. Of course Henry also now has 12 months on the shelf conditionally discharged after 2 years and I would assume he could not ever get elected for even dog catcher from this point forward. The sad thing is that nothing prevents him from running for office again. Yet. Sounds like a first time drug offender sentence not a habitual law breaker sentence doesn't it? It was also amusing to see Henry compare his predicament to the Captain going down with the ship. Yeah Steve you are a hero for taking the fall for your own personal mistakes. Talk about arrogance and ego. "Innocent people don't accept Alford pleas. They don't forfeit 600 grand. They don't pay fines to the Kentucky Registry of Election Finance. And they most certainly don't continually blame others for their mistakes," Payne said. We actually agree on this statement. This also brings us to the Jim King case. FOX41's Bill Alexander has been one of the few that have been following this case. He did a report last night on the decision by the Special Prosecutor in the King case, Hart Megibben, to forward the case to the Kentucky State Police Special Investigations Unit for criminal investigation. You don't do this unless you have probable cause to believe criminal intent in most cases. The second video below is that story. My apologies for the quality. Last night at 11:00 the video story was on FOX41, which is normal for the top story for all TV news outlets, but this morning it mysteriously disappeared with the station opting for the print version to stay online instead. Some would cry censorship you be the Judge. You have to love having DVR with Insight and a video camera that will download to your computer or we would not see it. Or at least friends who think of that option. FOX fair and balanced? I wonder if General Manager, and Jim King friend, Bill Lamb had anything to do with that decision. While I have been criticized and accused of political posturing for the Mayor's race (a race I am not even running in) by King, his attorneys, and some bloggers, fueled by media speculation that I may run in the Mayoral election, nothing could be further from the truth. In fact I disavowed that rumor long ago. Innocent people don't pay fines to the Kentucky Registry of Election Finance. King is in the conciliation stage of deciding how large that fine should be since he was found guilty by the KREF. He is also being investigated by the Kentucky State Police for criminality. Based on that statement is he innocent? Innocent people don't continually blame others for their mistakes. King has continually blamed his attorney's saying they gave him permission. Of course attorney Sheryl Snyder denied that during a WLKY news report by Andy Alcock. He continually blames the KREF for something he knew better than to do after manipulating an email. Of course this email was written by King a month AFTER the KREF had told his attorney's he could not. Innocent? There are 2 glaring things throughout that bug me. One both are Democrats. This seems to be a pattern of behavior within the party and one reason I left the Democratic Party. While there are crooks on both sides admittedly the Democratic Party of today more exemplifies everything that is wrong with campaign finance as they have had majority control to make the rules better and have chosen not to. Secondly, there is a serious need for campaign finance reform that, once again, the Democratic Party has been in control long enough to fix but have chosen not to. So the question remains, have we had enough yet? I have to say this much. Tyler Allen is tech savvy and that in itself is a good thing in today's day and age of the internet. Last week Tyler reached out to bloggers and started a weekly broadcast to give everyone an opportunity to get to know Tyler Allen. Many of the local political bloggers receive weekly invites to attend in person and ask any questions. Though last week there were some technical glitches (expected for a new venture) this week seemed to go off without much of a hitch. The timing may not be inclusive enough to attract a large audience of live guest bloggers. The event is on Monday mornings at 8:30 am and for many of us we have other jobs we do and are time constrained. One suggestion I have for the Tyler camp is to perhaps change the time of the livestream and see if more can fit it in their schedule. With that said I have to say I enjoyed being there today. 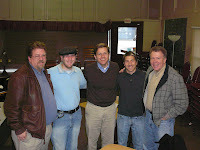 New Content Editor Rick Redding of www.louisvillemojo.com was there along with co-founder of Louisville Mojo guru Keith Ringer, and John Springston the Louisville News and Politics Junior reporter. Tyler never ducked or dodged when asked the tough questions and was informative in his answers. For the record Keith asked Tyler about light rail (which I am an advocate for) and Tyler agreed it was an option. When asked about his position on gambling by Louisville News and Politics own John Springston, he said he would have no problem allowing a ballot initiative giving we the people the right to vote for it. And before anyone asks why this is relevant for a Mayoral race, since it is a ballot or State issue, Louisville will be the greatest beneficiary of this if it comes to pass so it is important for the Mayor to be at the forefront or involved in the issue. John also asked Tyler how he would make Louisville a better place for economic opportunity for the youth of Louisville who leave now for greener pastures elsewhere. When asked about the stigma of being a candidate today with the expected backlash from the discontent of federal policy he never flinched. When asked about how he would overcome the critics who have painted him as some sort of a one horse pony due to his 8664 stance? Tyler discussed the benefits of 8664 economically and what it would do for the inner City. He outlined what 8664 brings to the table and it is not what people have been sold by biased media (hear that CJ?) the whole 8664 thing goes above and beyond what has been portrayed to date. It goes to the heart of economic stimulus and opportunity. That is what Tyler brings on the Democratic side. Forward thinking. What can I say about the show tonight. Ed Martin finally rants and we get serious about elections. 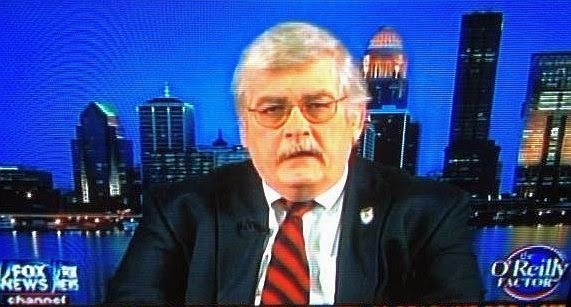 Michael Lewis of www.independentkentucky.com was the in studio guest and proved to be knowledgeable and a breath of fresh air on the political scene. Everything from the economy to open primaries was discussed and we hope it makes you think. Get involved and make a difference! Listen in below and enjoy! Do not forget that tonight is the final Metro Council meeting of the year. Sure to be the hottest issue going is the election results for the PRP Board of trustees being thrown out by Abramson. Sadly, I cannot be there and address the Council myself. Of course I cannot be there because I have the MyViewMatters Radio Show to do tonight at 7 on WKJK 1080 am. Make plans to attend and let your voice be heard! ABRAMSON (AMONG OTHERS) CAUGHT AGAIN WITH THE KLC! Damning evidence to say the least. I love Crit! You may be asking yourself, however, where Jerry Abramson is as a member of the board. Well, folks, he also bears responsibility for Lovely’s behavior and his silence on the matter speaks wonders. Gotta ask yourself it that’s the kind of person you want leading this state as Lt. Governor. For a list of everything Abramson is supposedly director of check this out: Louisville News and Politics: ABRAMSON: HOW DEEP DOES THE RABBIT HOLE GO? Stay tuned this will get much worse. MYVIEWMATTERS RADIO TONIGHT: Reportedly over 60% of registered voters, regardless of party affiliation, regard themselves as independent voters which makes tonight's show a must listen. The guest will be Michael Lewis, head of http://www.independentkentucky.com/, who was very instrumental in the recent win of Jimmy Higdon over Jodie Haydon in the special election last week. Though he was majorly outspent by special interests groups on behalf of Haydon, Higdon pulled off the win thanks to those independent minded folks who threw themselves into the election. Check it out tonight at 7 pm on WKJK 1080 am and as always simulcast on Ky Grassrooots Radio. Phone in during the show at (502)571-1080 with any questions or comments. And of course he got a labor endorsement from the millwrights/carpenters. Louisville News and Politics: KING GETS ENDORSEMENT: CAN WE SAY HUH? It keeps getting funnier. King is now spending his money trying to buy the West End vote and thinks having Mattie Jones beside him will help. Who is advising him he has bought everyone and that is the best they can do? Sad to say the least. The guy, in my opinion is a criminal, and will make Abramson look like the altar boy he wants people to think he is if elected, but it is pathetic to see the implosion from this power hungry ego driven train wreck called King. KING GETS ENDORSEMENT: CAN WE SAY HUH? This is a sad day for labor when they endorse someone like King for anything. Apparently the board who made this decision is not aware that King has been found GUILTY of violating the law. Why else would they support him? Perhaps we need to seek the deals that were made. I will answer their reasons below. We chose Jim because he supports issues important to working of families. Work to increase transparency in local government. Yet he could not be transparent in answering charges against him for election fraud instead lawyering up to hide the facts wasting additional government resources and time. Where has his transparency plan for Louisville Metro Government been at? Not a very good sign of his willingness. Provide local jobs for local workers through responsible economic development. As current Councilman and past President of the Metro Council where has he been in discussions about local job creation? He has instead opted to vote YES on every budget Abramson has put before him and has done literally nothing to help create jobs or provide any alternative plan whatsoever. Labor has consistently been let down under this administration and the Council members involved including Jim King who as Metro Council President accomplished nothing for labor. Support apprenticeship programs that provide quality jobs for our future workforce. As evidenced by what? Read above and you will see what he has done for labor. He has never spent one minute of any day supporting or helping push an apprenticeship program for labor. Continue to advocate for issues that are important to the labor community, as shown by his 100% pro-labor voting record on the Metro Council, and his strong voice in support of issues which improve the quality of life for our working families. Pro labor voting record? What votes has he enhanced the labor movement with? Nowhere is there any evidence of King taking the lead and working on any pro labor movements. He postures well but accomplishes nothing. I am saddened by the endorsement of this labor group. King has done nothing to further labor along though he has had the power to do so. Remember Abramson has promised everything to labor as well and not followed through. King has followed Abramson's lead throughout. He has proven a willingness to do anything and everything for personal gain and not for labor. He has had the time and the opportunity to force labor to the forefront and has not. Abramson submitted a budget that allowed for layoffs, so called unpaid furlough days, and other things that have affected and downsized labor throughout this community. King voted YES every time and did not propose one single alternative to protect these labor jobs thus enabling Abramson once again to downsize labor. Why is now any different? It is not different. Anyone who pays attention to labor throughout this City knows this which makes this endorsement even more incredulous. When will the few who make these selections wake up and represent the majority of the labor constituents and realize that this is why labor does not move forward. Until some labor group stands up and says we are tired of being sold out through lies and deception nothing will change. Make candidates for office EARN an endorsement especially ones who are running for re election. Incumbents have a record that can be proven or disproved. In this case where is the proof anything has been done by King? As a proud union member myself, I fully respect the hard work of labor throughout our community. With that being said I cannot continue to keep quiet when I see these type endorsements for anyone who has proven time and again that nothing else matters but their own arrogance, ego, and power. I am sure the rank and file realize the many misgivings in this stated endorsement and will vote accordingly. ABRAMSON: HOW DEEP DOES THE RABBIT HOLE GO? You know I often wonder just how entrenched Abramson really is to get away with all the garbage he does. Many people have said the media is partly to blame since they protect him so much. I, for one, have agreed with that assessment. Knowing that he enjoys an unprecedented amount of privacy for an elected official, what with all the accusations of his sexuality, money being put in his pocket from all over the place, what exactly has allowed this Mayor this control over not only us but the media that is supposed to keep us informed? I was told by someone to check the Secretary of State website and see just how many things Abramson is Director of. Since I actually had not done that in a full scope way I followed up with the request. KENTUCKIANA WOMEN'S BUSINESS COUNCIL, INC.
LOUISVILLE AND JEFFERSON COUNTY LANDBANK AUTHORITY, INC. THE EDITH & HENRY HEUSER HEARING INSTITUTE, INC. LANDMARK COMMUNITY NEWSPAPERS OF KENTUCKY, LLC. These are just the currently active files. The biggest surprise was just how many media outlets he has his hands in. Out of the above 32 outlets 15 are media outlets. Do we wonder any more? I am thoroughly disgusted at the blatant idiocy of this Council and the above mentioned members. Why? Because I am sick of their charade of trying to act like they are anything but Abramson puppets. You can read throughout this blog about Henderson, Blackwell, and Welch. The one surprise was the 2 year old child like mentality of Mary Wooldridge. The others were no surprise at all. I actually supported Wooldridge in prior races and now will work diligently against her in her next. She chose to make a big scene wanting to hear the robocalls by Doug Hawkins and screaming about ethics, which incidentally is not the role of this committee and she knew that, instead of addressing the real issue at hand which is simply why did the Mayor take the step of ignoring the PRP voters and Board of Trustees. According to KRS statutes the Fire Department will hold their election on the 4th Saturday in June for any vacant Board of Trustee seats and this year we had one. The election was held and the Board of Trustees opted NOT to certify the election due to "electioneering" during the vote. The election was conducted between 11 AM and 2PM. At approximately 12:30 Abramson Board of Trustee appointee Bill Hibdon made a phone call to candidate Mike Ford and told hm he needed to hurry up and get his people down here because he was losing. The link in this fiasco? The ones involved were with the old South Dixie Fire Department and Henderson supporters. They were merged with PRP. Think what we see in politics is bad? You should check out the internal politics in this situation. But that is another story on another day. Hibdon did this inside the voting place. Electioneering and totally illegal in any instance you would want to compare it to. At this point the Mayor had the obligation to appoint someone to fill the vacancy for the term. No one argues that point. He chose not to. Since Abramson did not appoint anyone we still had a vacancy. The PRP Board of Trustees decided in the best interest of the voter and community to rectify this situation they would hold a special or second election. This election was held on September 19 a full 3 MONTHS after the first.Trying to be above board and transparent they advertised it as they would the first by law and proceeded to have this election. Kudos to the Board for trying to make this right but then this too became a problem apparently. Since Abramson DID NOT do his job after the first election the Board carried the second and after the results were known certified this election and made the recommendation to appoint Mike Priddy, Sr to the Board based on these results. Seems simple enough doesn't it? Not in the Abramson regime it isn't. Abramson refused the recommendation citing his authority under KRS 75 as being able to appoint the Board member at his discretion thus telling those who voted in PRP to essentially screw themselves. Blackwell decided to muddy the waters even further by complaining about so called lies from Hawkins in an email blast and saying this second election was not anything but a straw vote. A pathetic argument at best if you were there. Henderson couldn't do anything but keep whispering to Blackwell and holding up papers seemingly to say "look at me, look at me." Truly a work of art if one were in preschool. Of course neither are assigned to the committee or have a vote on the committee. Their problem? Doug Hawkins sent out robocalls asking people to vote for Mike Priddy for the job. Folks like the calls or hate them Hawkins was well within his rights to campaign for anyone of his choosing. The Metro Council did not like the message that admittedly included language that stated that IF Priddy did not get elected the Mayor would take away funding and trucks and send them anywhere he wanted outside of PRP. Vickie Welch decided to abuse her Chair position and make a scene trashing Hawkins over his robocalls because " he has even attacked us" using them. Anything to do with the content or their duties as committee members? Nope just idiotic children posturing and whining for the cameras. Folks that is called campaigning. We see it in every election at every level and the fear message is used quite often. Think of every TV ad, radio ad, print ad you have seen by candidates and ask yourself if this is any different. And before anyone says well Hawkins was not the candidate think about how many PAC's run these type ads for candidates. Don't like the message Hawkins put out? Sorry first amendment protection. He was well within his rights. Hell I don't even like robocalls though admittedly I used one during my last race. But I digress. The fact is this. The Mayor CHOSE to ignore the will of the voter in PRP (yes only 130 showed up out of 90,000) to appoint a political crony named Rosemary Mattingly wife of Larry Mattingly Legislative Aide of unethical Bob Henderson. Instead of focusing on the issues presented here of what was right for the citizens of PRP the child Chairwoman Vicki Welch, and her preschool buddy counterparts Wooldridge, Blackwell, and Henderson decided to go on a personal attack about the robocalls and whine about how they were not right and how mean and bad Hawkins was opting to IGNORE the will of the PRP voters. That is and always has been the problem of government with Abramson in charge. The cronies will dilute the real issues in favor of doing his will. And this is one reason why I got involved in politics in the first place. The will of the people must not be ignored. Anyone who argues because the turnout for the vote was so low also ignores the reality of the situation. When was the last time we had a majority turnout for any local elections including these Council members like Blackwell and Henderson who like to smirk about the turnout? They got their jobs with a less than majority voter turnout so why is it different for them in this case? There is none. Abramson has hidden behind the KRS 75 statute so he can gain. Why would I say that? Because the statutes allow the Board of Trustees to essentially do what they want. Abramson could have done this appointment after the June election and did not. Now that he does not like the turnout he wants it his way. The trustees can take a vote tomorrow to turn over the whole Department to the City of Louisville and Abramson then gets control of the money and resources. Abramson appointees now control 4 out of 7 Board seats a clear majority. KRS 75 clearly did not want that situation which is why it only allowed the Mayor 3 appointments in the first place. As evidenced by this Council committee they will apparently do his bidding as well. Since he now controls the Board does anyone think that is not a possibility that he wants to control the monies in the volunteer districts? What if every volunteer fire district had a Mayor appointed Board member make a phone call and do some "electioneering" during a Board election in other volunteer districts? Abramson would then be able to gain control of their Boards as well. Hmm, maybe Hawkins robocall wasn't so far off base after all. Okay so I ranted a bit on the PRP Fire Department shenanigans orchestrated by none other than the dimwit Abramson and cronies Democrat Rick Blackwell, Democrat and Chair Vicki Welch, Democrat Mary Wooldridge and Democrat Bob Henderson to start the show. See the pattern here? Taking that aside this show focused on the debacle of Louisville Metro Animal Services And ousted Abramson favorite son Gilles Meloche. We spoke with Barbara Haines who has been on this investigation from the beginning and discussed the multiple problems within the Department under Meloche and his successor Wayne Zelinsky. ABRAMSON NEEDS TO LEAVE NOW! I have been watching this development closely concerning the PRP firefighters and was waiting to see if the moron Abramson would actually try to pull this off. Apparently he has decided that the voters in PRP do not matter and he will take care of his buddies regardless of what we want or say. After the people who live in the Pleasure Ridge Park Fire Protection district went to the polls on September 19, 2009 to vote for a representative on the fire board, the votes were counted and verified that Michael A. Priddy, Sr. won with 47% of the vote in the three candidate race. 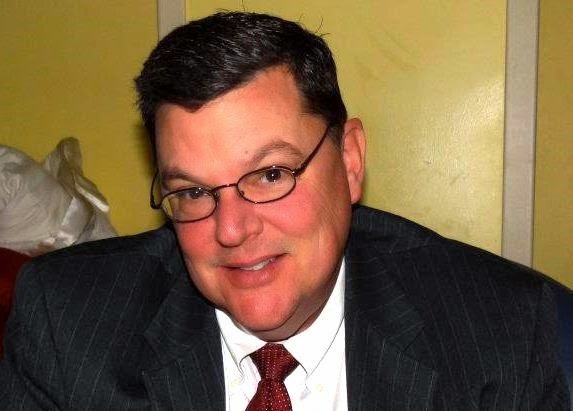 The PRP Fire Protection Board of Trustees certified Michael A. Priddy, Sr. as the winner and sent his name to the Mayor for nomination to the Metro Council. Of course not. Not with Abramson's regime. The Mayor ignored the results, as he always does when he cannot control the outcome, of the public election and has nominated his own appointment, Rosemary Mattingly (a political insider), who has no firefighting experience and is the former legislative aide to Councilman Bob Henderson. Henderson, as you may recall, is one of Abramson's rubber stamps and his Legislative aide Larry Mattingly and Henderson also were charged in the whole MSD fiasco brought about by Sarah Lynn Cunningham. Not to mention the deals that were made last year so Henderson won his seat by default. Wonder where those players are now but I digress. 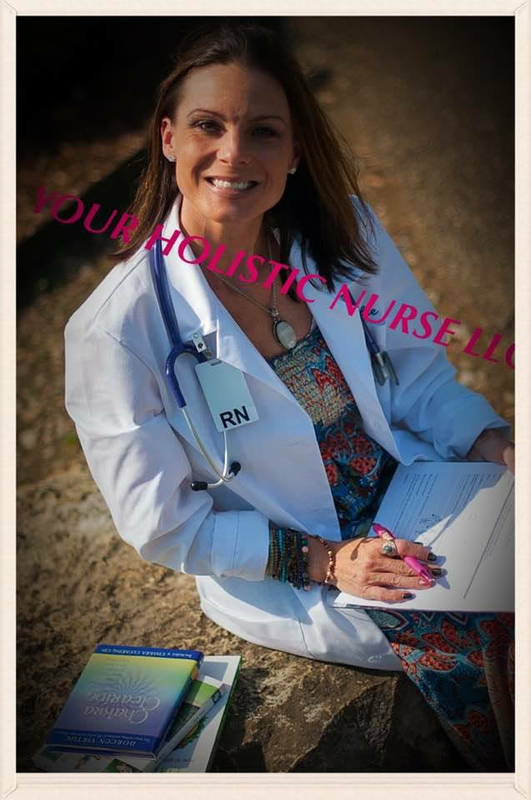 Rosemary Mattingly was also part of Henderson's staff. She and her husband Larry were indeed making good money off our taxes. Metro Councilman Doug Hawkins sent an email blast to his constituents notifying them of this behavior. 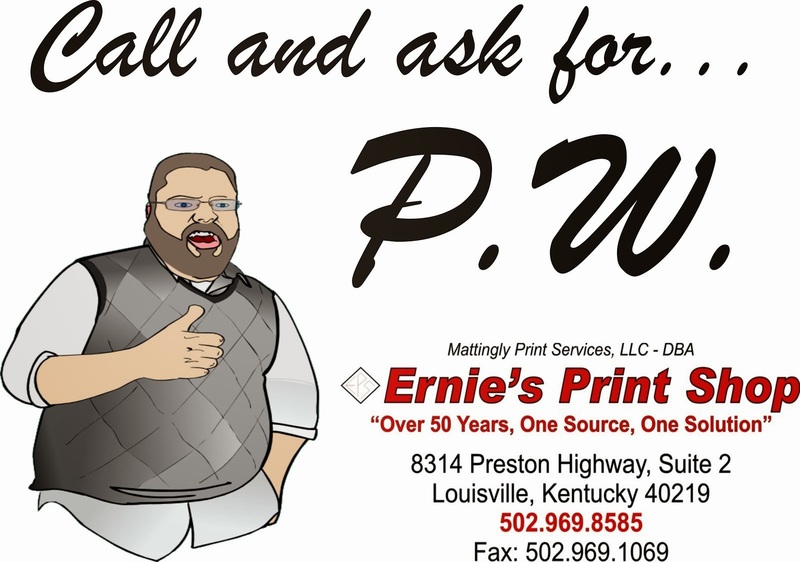 He and Michael Priddy, SR will be on the Francene show on 84 WHAS at 10 am. to discuss this situation. The Hawkins email states: “The Mayor is positioning himself to take over PRP’s fire taxing district, which has a multi-million dollar budget,” says Councilman Hawkins. Further, the Councilman fears that the Mayor will take the tax dollars (and the fire equipment) generated by this fire district and place them in other areas of town. Hawkins is correct. This has been a problem most in the community have been expecting for some time. Simply, the Mayor would gouge the County funds and spend them recklessly in other areas instead of where they are intended to go. How else can you try to justify ignoring a vote of the people, by the people, and for the people? take the vote aside and compare firefighter relevant credentials. Michael A. Priddy, Sr. is a former firefighter injured in the line of duty and forced to retire from the fire department because of his injury. Mattingly experience for the job? Nada. Zilch. Normal for Abramson appointees. Have we had enough yet? Abramson needs control of the fire district money now more than ever to hide his shortfalls. We in the County pay additional taxes for our fire service and Abramson is not entitled to it. The Metro Council meets on Wednesday, December 9 at 4:00 PM to discuss Abramson's appointment of one of his favorite political insiders. Please attend and tell the Council NO. Write Abramson and tell him it is time to go now. He needs this now before he leaves office (and yes he is leaving before the election). Do not allow him to screw the volunteer fire departments or the residents of the community who depend on them.